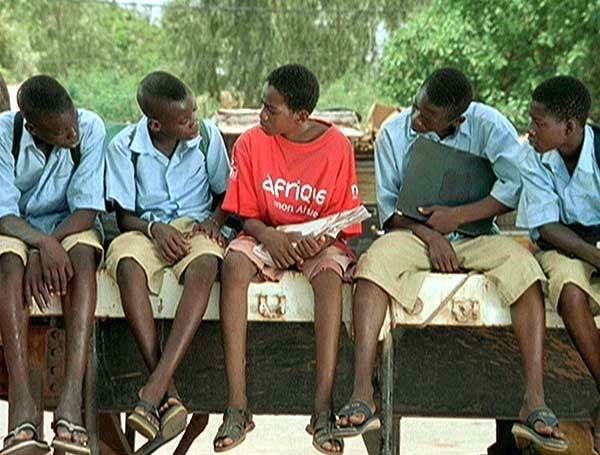 In 2001, Alain Brigand invited a ‘transnational’ collection of directors – Samira Makhmalbaf, Claude Lelouch, Youssef Chahine, Danis Tanović, Idrissa Ouedraogo, Ken Loach, Alejandro González Iñárritu, Amos Gitaï, Mira Naior, Sean Penn and Shohei Imamura – to film a response to 9/11. 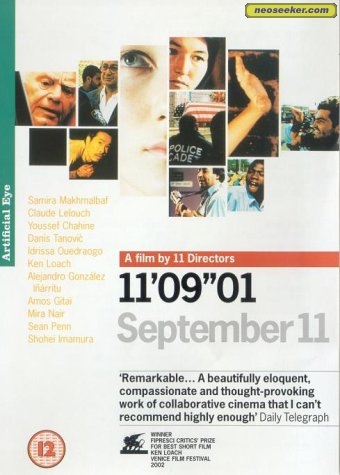 With the mutability of the world’s views on terror consistently under the microscope, it seemed like an interesting time to go back over the 9/11 ‘event’ and scrutinise it through a cinematic prism. There are those, of course, who view 9/11 and later acts of terror as acts of cinema upon our ‘transnational’ consciousness. In Brigand’s collection, the hyperreal, hybrid and conflicting visions of terror offer a fresh vision of 9/11 that stretch and distort the West’s iconic imagining of the event. Producer Alain Brigand’s decision to ask directors to “look towards their own cultures, their own memories, their own stories and their own language” focuses on the local and personal to interpret a global phenomenon. 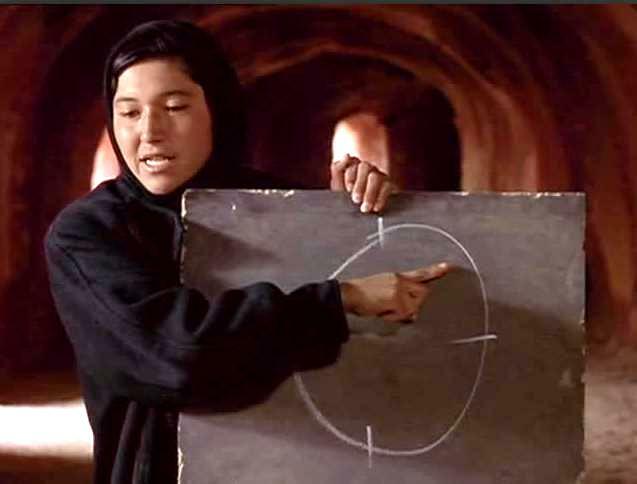 Although in Samira Makhmalbaf’s short an Afghani refugee teacher struggles to help her class conceptualise this “global incident”, the final image of the smoking kiln superimposes the inverse face of 9/11 on to our consciousness – the flipside, or a kind of cinematic palindrome. The viewer is offered a mirror image of themselves, an identity full of contradictions and juxtapositions. In Idrissa Ouedraogo’s short, the character Adama, who begs an elusive, cartoonish Bin Laden to “come back, please!”, reveres Bin Laden as an escapist superhero, whilst on the other hand sells magazines headed with Bin Laden’s image declaiming “WANTED: 10 million dollar reward”. Thus we also see Bin Laden as Slavoj Žižek’s Blofeld, “involved in the acts of global destruction as a totemic villain”, and an imagined character. 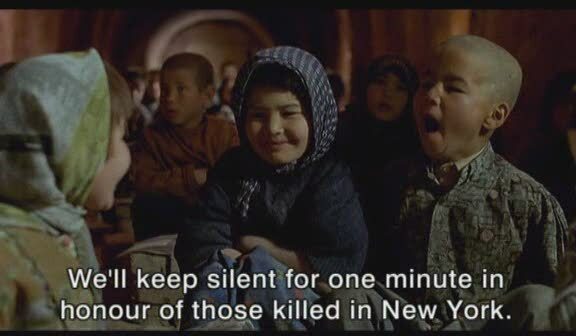 Makhmalbaf, Ouedraogo, and their counterparts on the 9/11 project employ a personal perspective on this global happening, an event that forces their characters to cross geographical and metaphorical borders of exile, of time, of fantasy and of belief. The events of 9/11 were local to the eastern US city of New York, but perceived on a global scale. 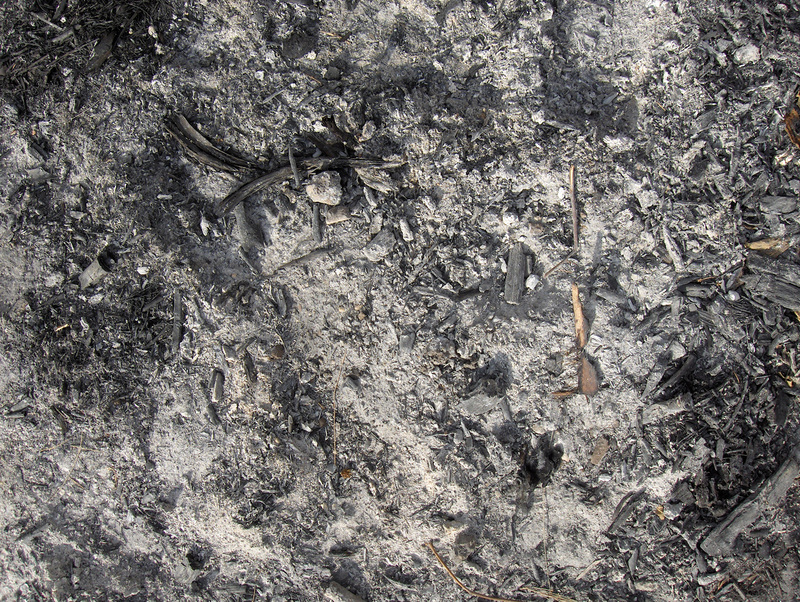 The image of the burning towers of the World Trade Centre has become iconic; this post-9/11 New York is described by John Nelson as “a noir city left in the twilight of the idols”, suggesting primarily a meta-landscape – Žižek’s ‘desert of the real’ – that filters and mutates the original event, transforming it into a multifaceted platform of interpretation, and a hyper-real facsimile of itself. Cinematically speaking, 9/11 is an event that has its roots in movie mythmaking (the ‘idols’); Nelson purports that Hollywood has been rehearsing, or ‘prefiguring’, 9/11 for a long time. Thus a connection can be made between the disturbing advent of that Hollywood stalwart the ‘disaster movie’ made flesh in its own backyard, globalisation, and the West’s skewed understanding of the event. As Žižek says, the explosion of an “insulated artificial universe” merely gave New York “a taste of what goes round the world on a daily basis”. But the explanation that 9/11 has metaphorically reconstructed old borders merely teaches us what the reaction was, and not why. 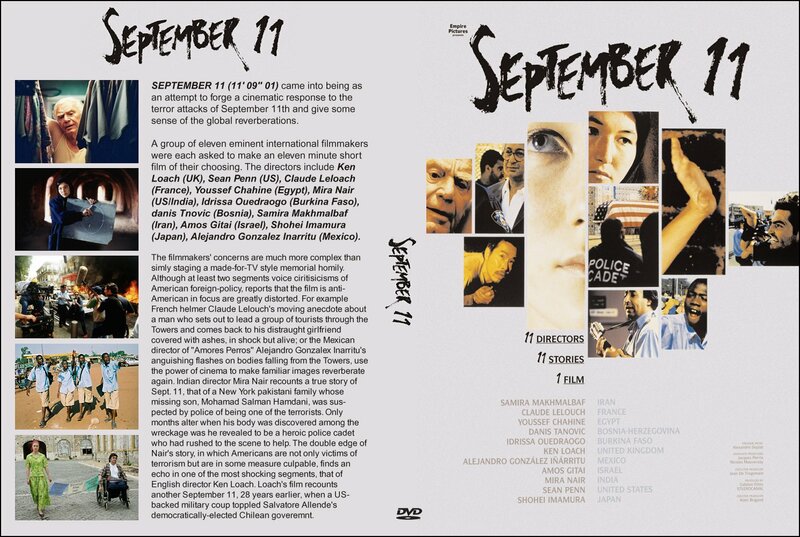 How did Hollywood, and its Western audiences, ‘prefigure’ 9/11? One of the principal reactions to 9/11 was that it was ‘surreal’ or ‘just like a movie’, after all, which engendered a sense of panic in the reaction to it, as it challenged perceived and trusted reality to reveal another, new reality, which is Žižek’s “irreal”; others suggest that 9/11 inhabits a space of “hyper-reality” and thus confuses reaction to it, and that, as Don DeLillo suggests, “when we say a thing is unreal, we mean it is too real”. In the Shohei Imamura short, the soldier who returns from war as a snake embodies these ideas. As a reaction to 9/11, it is a deliberately obtuse message, but Imamura’s surreal fable – unbounded by a sense of real time – reflects a need to play out 9/11 as fantasy. It also an attempt to place this idea of trauma (the damaged soldier) and timelessness (the eternal Holy war – sometimes called jihad, Hiroshima, or the War on Terror) within a distinctly national cinemascape (the epic Japanese folk tale). If Hollywood cinema is fantasy, and fantasy is unbidden desire, then the Western hunger for disaster movies like Independence Day is the answer to that desire, however unnatural: “America got what it fantasized about” (Žižek, again). Thus it becomes clear that Ground Zero is a new space which is a by-product, partly, of this devouring of “cinematic preview(s)”(of 9/11) (eg Deep Impact and the tidal wave that destroys the Twin Towers) which suggested a reality derived from fantasy. The hyper-reality of 9/11 centres on Ground Zero which became a “void of meaning” the day the event occurred – effectively a non-space, an inharmonious vacuous blot on America’s conscience. This concept is most strikingly evoked in Iñárritu’s short, a disturbing chaos of repeated sounds, images, and recorded voicemail messages from plane passengers before the planes hit the WTC. Iñárritu focuses on the key aural and visual imagery of 9/11, inhabiting the metaphorical non-space between the real (recorded images and messages) and our reaction to them. What is perhaps most disturbing about Iñárritu’s short is the indulgence of repetition, as we see the ‘jumpers’ fall over and over again. In this attempt to convey the horror of 9/11, he enters Žižek’s world of fantasy where a global society forces itself to live and relive a local tragedy. Although Iñárritu’s short symbolises not only repeated access to trauma but, in Žižekian terms, a kind of dark obsession with it. DeLillo says of 9/11 that “there is something empty in the sky”; Žižek tells us that the events can only be studied “against the background of the borderline which… separates the digitalised First World from the… desert of the real”, something Verluys in his essay on Art Spiegelman’s In The Shadow of No Towers elaborates on as a break between “the literalness of the true testimony… and the visual figuration”. Jackson goes further to suggest that the difficulty in representation lies on “the blurred line between virtual and real violence”. Effectively, there is a gap between the real events and the depiction of them, and in this gap exists a tension between the real events and the echo of their virtual selves. It is this “howling space” (DeLillo) that begs for representation. Claude Lelouche’s short attacks this complexity on two basic levels; first, we are shown a deaf/mute woman and her partner on the very regular pre-9/11 morning. The silence that Lelouche employs in the film, paradoxically, is deafening. 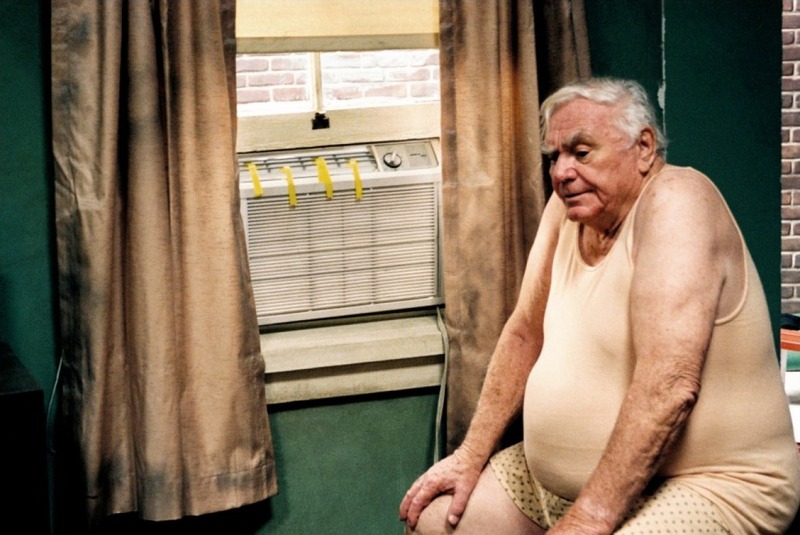 Lelouche encourages us to imagine the horror of the physical outside of her apartment by placing the majority viewer in a suffocating position of helplessness through our ‘inability’ to hear. Lelouche uses as a central motif the couple’s impending break-up, a “built-in” acceptance of Verluys theory that knows of the “inadequacy” of depicting 9/11 as a real-time, straight event. It also shows the flipside of 9/11, despite being set on the day and in New York; the classic imagery is absent except on a television, a knowing nod to media saturation and the ‘desert of the real’. The female character seems to express herself in the voice of general trauma, or ‘social memory’, by the very fact she has no voice – to express Richard Jackson’s “void of meaning” cinematically, Lelouche employs a ‘void of sound’. Like many of the shorts’ characters, the deaf/mute girl remains nameless – a conceit that describes the lost and the dead – and when she writes to her lover “I’m writing to you since I cannot scream”, Lelouche is doing the same, in film, for those that died. The transnational characters of these 9/11 shorts are outsiders, strangers in a strange land. That is to say, everybody is. One of the most powerful devices in the 9/11 shorts is used by Youssef Chahire who explores another fluid boundary, that of language. Although Chahire’s film may not be stylistically ambitious (although its soap-operatic tone arguably teases the viewer into a short-lived smug comfort), his use of Arabic for all the characters, especially the US marine killed by Israeli bombs in Beirut in 1983, and the marine’s father, works very well. 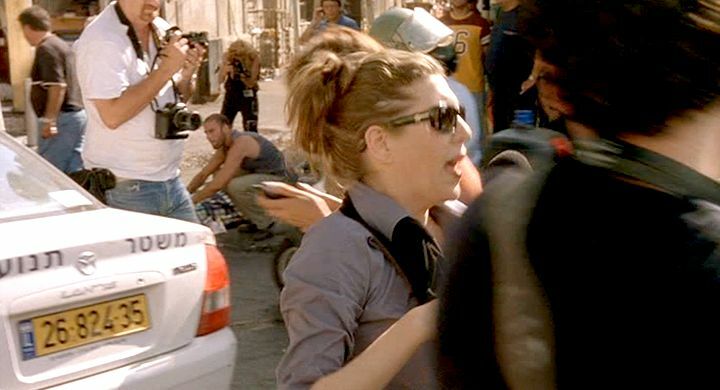 Firstly, it turns the generic Hollywood representation of Arabs and Hollywood’s prefiguration of current fashionable Western thought – also described in terms of metaracism, a perceived inability to name or accept “alternative cultural values” projected in a disturbingly PC fashion – into a facsimile of itself (the aforementioned cinematic palindrome). Secondly, it makes a mockery of the idea that language in film is English, and better, American (the ubiquitous ‘performance of Americanness’ cited by film critics Ezra and Rowden). Chahire breaks the ideological boundary of language which in turn breaks the unwritten, tacit rules of mainstream cinema; Chahire suggests a spoken transnational language, along with Lelouche, that is no language at all, or every language – thus again uniting transnational identities across physical boundaries. Thus the 9/11 event has no language, or rather its language must be reoriented. It has no ‘real’ actors, as the West viewed it as an unfolding film. It is not a Western event, as it was viewed by the entire world and is thus necessarily seen through a transnational prism. This conceptualisation of 9/11 offers an interesting way to reorient thinking about terror, as it questions our sense of what is real, and reignites the debate on the dangerous polarities of the politics of terror.